I’ve visited the towns on this particular road trip during past sojourns, and although they’re all anchored in mining history, each one has its own unique personality. Many of Eureka’s building are built of red brick, including the iconic Eureka Opera House, and this once booming mine town is still very active. 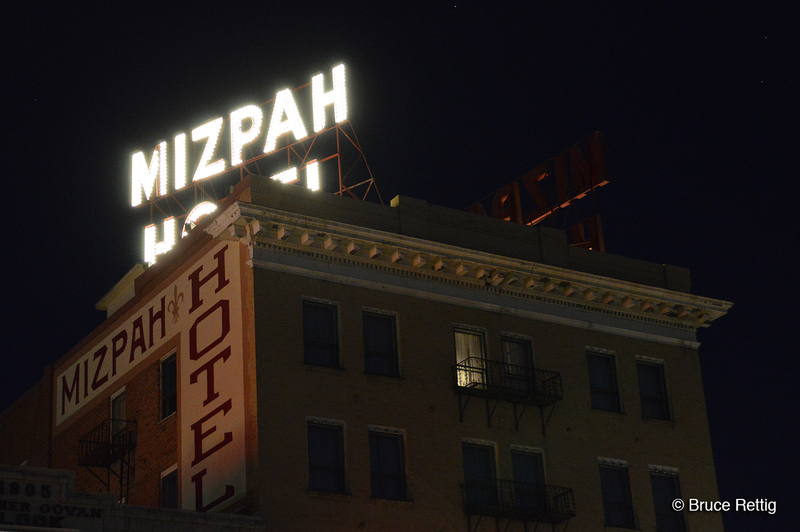 Tonopah is home to the Mizpah Hotel, voted the #1 Haunted Hotel in America by USA Today readers. The nearby Tonopah Historic Mining Park provides an opportunity to experience an industry that once (and still does—in other areas around the state) contribute to Nevada’s economy. 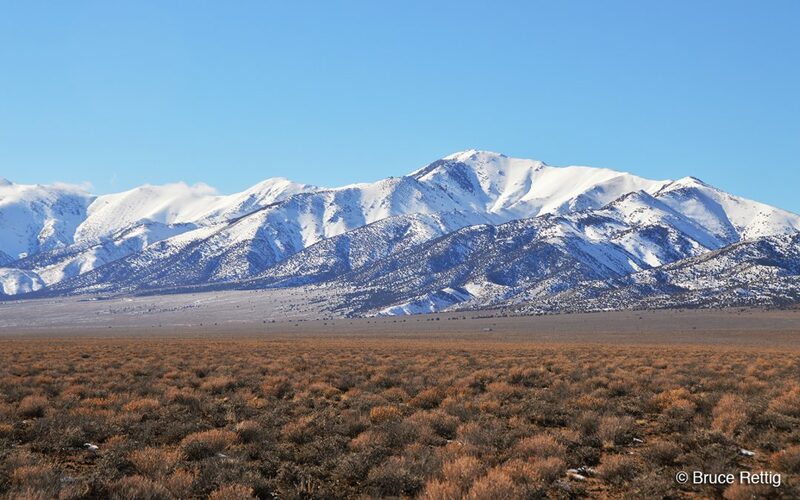 Ely, Nevada, at the far end of the state, is home to the Nevada Northern Railway, a working railroad. 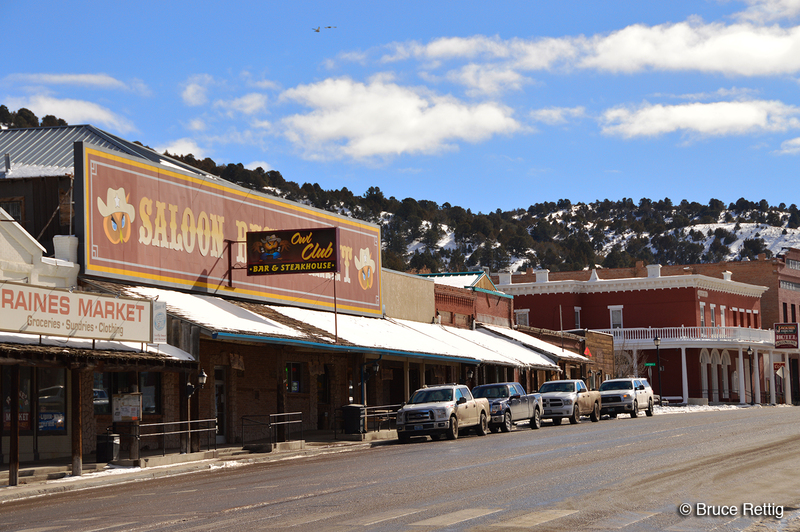 Of course, all of these old west towns have ghosts who walk the streets, inhabit the bars, and cozy up to visitors in their hotel rooms at night. Many miles separate these towns and maybe that’s one of the reasons they each have their own offerings. For the weary traveler, they provide a respite—but they’re not only a stop along the way. They also have a story to share, providing fuel for contemplation as one continues their journey down the highway. I keep my eye on the markers and stay alert as the sun sets behind me, the road stretching eastward, stars sparkling to life in the winter air. The destinations are hundreds of miles ahead, mere thoughts and expectations. Road markers reflect pinpoints of light, beacons pointing the way; passed by one at a time, they trail off into the distance. 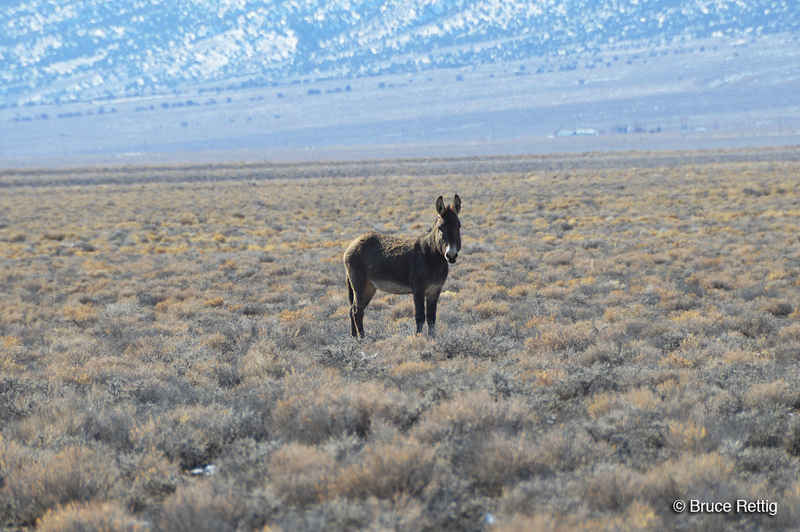 Wild Burro, Smoky Valley, Nevada. Burros were first introduced into the southwest desert by Spaniards in the 1500s, and later used by miners to carry supplies from mining camp, to mining camp. The Mizpah Hotel, my favorite. Yes, the window with the light on is my room. 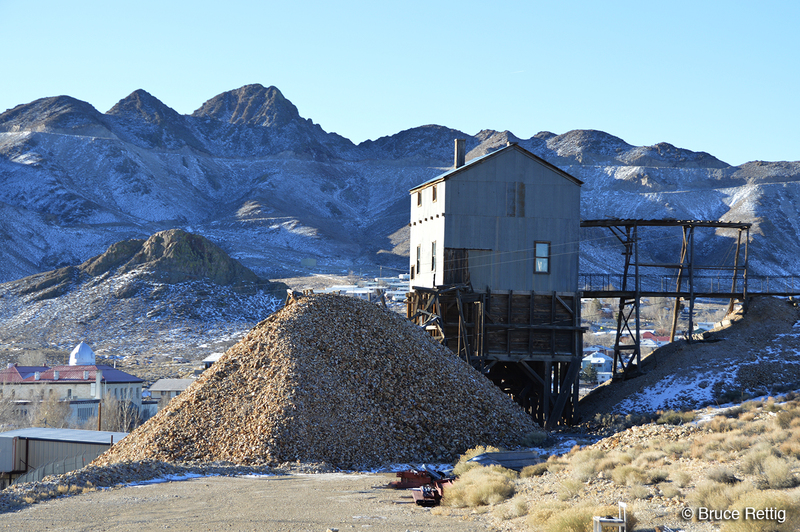 The Tonopah Historic Mining Park—rich Nevada heritage. 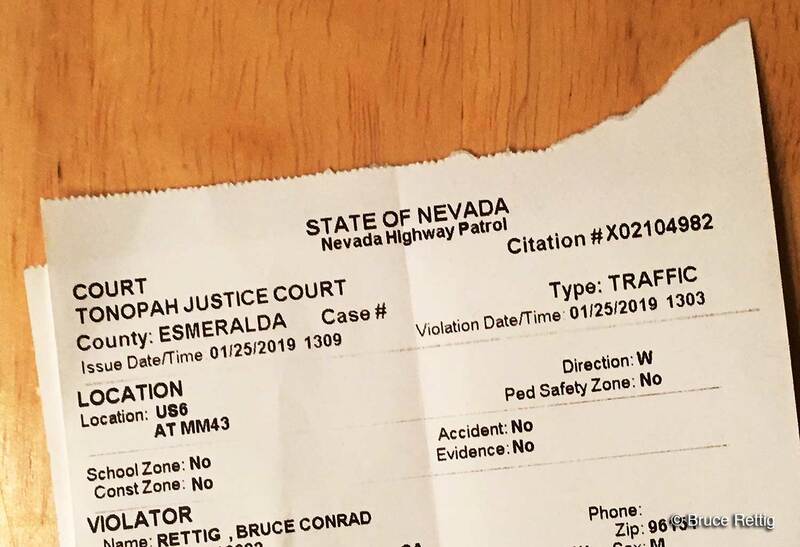 On my way from Tonopah, a Nevada state trooper was kind enough to issue me a “Rural Traffic Citation.” Basically, this is a reduced traffic ticket that doesn’t show up on your record and ding your insurance rate. In my case, 84 mph was reduced to 75 mph. I didn’t think the Jeep went that fast!